company based out of Ripley, New York. area economy by hiring dedicated, local workers. grows over time, and now we are a 100 percent employee-owned company. “It’s a terrific feature for potential employees looking for employment,” Mazon added. Maryland, for the past 35 years. We have a container freight station there,” Mazon said. New York. We’ve been in Jamestown for about nine years now. 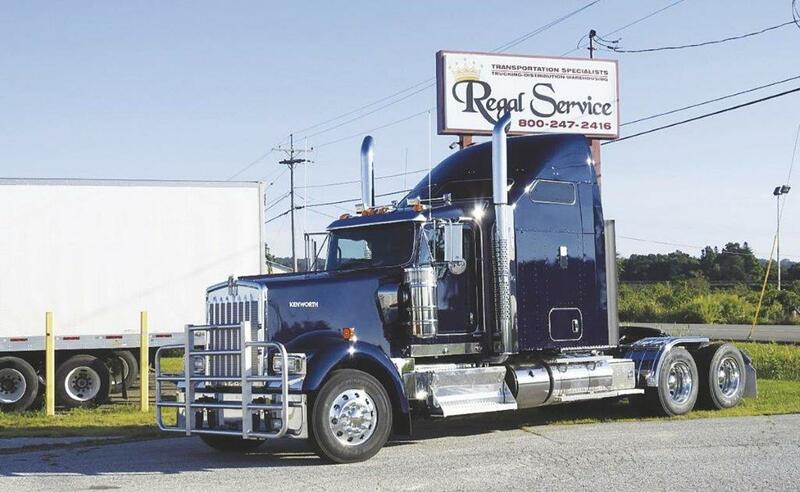 Across all its locations, Regal Service employs about 135 people. benefits, a matching 401K and the employee stock they would soon gain. company until it’s time to retire. the company’s turnover rate proves it. percent. Which, in our industry the average turnover rate is closer to 80 percent. Service is modernizing its website and becoming more active on social media. more and reach a broader audience. continue supporting the local community. “We certainly have expansion plans for the future,” Mazon said. organizations and staying active in the community. — www.facebook.com/regaltransportationservice; or call 800-247-2416.